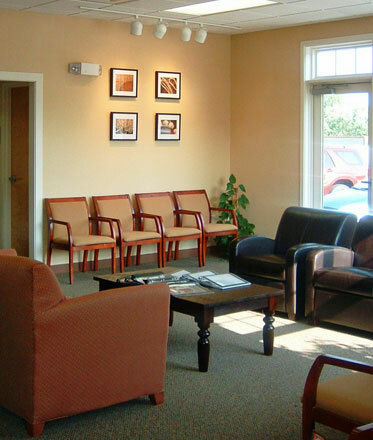 Among other things, Asheville is a regional medical center and I have designed a number of new buildings and tenant spaces for medical and dental clients. From personal experience I know that no one goes to the doctor “just for fun” and the whole experience can be very stressful, so I try to incorporate elements and visual themes from hospitality design to create spaces that are comfortable and calming with cheerful colors and as much nature light as possible. Functional, efficient floor plans are also extremely important in the design of medical facilities – good planning can help patients understand where to go to wait, check-in and check-out; and it can significantly reduce daily travel distances for staff. The Advanced Dermatology & Skin Surgery project was a new 10,000 square foot medical office building located in Regional Medical Park. 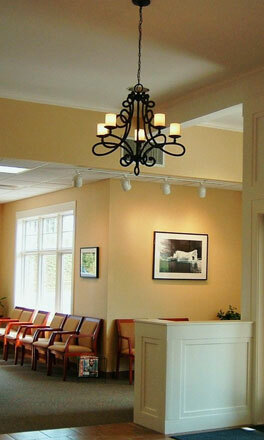 There were many challenges in creating the design for this building including finding ways to provide natural light to all the clinical areas (necessary for proper diagnosis of skin conditions) and creating a comfortable, relaxed space for skin cancer patients whose treatments require extensive, often full-day visits. 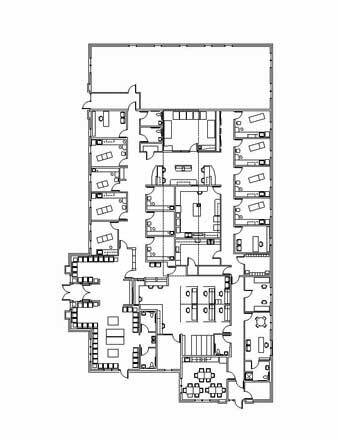 This building also needed to have a flexible floor plan to allow for the practice to expand and add new doctors and to make space for a future wellness education area. But, the greatest challenge was to create a space that that could be serene and comforting for skin cancer patients, and also attractive and spa-like for the cosmetic patients. 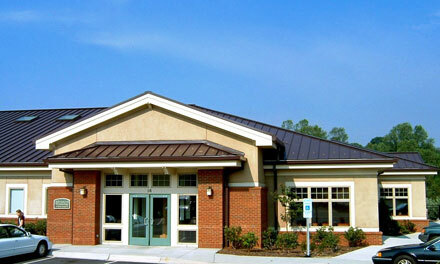 Happily, the building has lived up to that challenge as the practice has grown.